Good reptile habitat consists of a varied vegetation structure and south or south-easterly aspect. Preferred sites include hillsides, banks, slopes and wet areas or semi permanent ponds with tussocky grassland, bramble, bracken, gorse or, occasionally in Herefordshire, heather. Small groups of young trees such as silver birch, elder, or juniper reduce wind chill and create a microclimate. Early in the spring collapsed dead bracken stands and bramble provide cover and thermo regulation sites for newly emerged species such as adder and viviparous lizard. Without a good height of sward reptiles are vulnerable to predation from birds and mammals. Hibernacula on hills or slopes will be situated out of the damp and frost, under thick bramble, in mammal burrows, root systems, or earthworks. These are essential to the wellbeing of a reptile population; especially the grass snake and adder who tend to use the same hibernacula each year. Their loss, either intentionally or accidentally, will result in population decline. 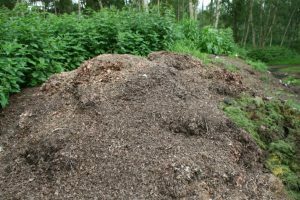 Therefore, before any management for reptiles is planned, it is of the utmost importance to locate the hibernacula or aggregation areas. Reptiles, and in particular adders, can be found in aggregations in spring on emergence, and in late summer/early autumn when preparing for winter hibernation. At these times any slopes and hillsides with a south facing aspect should not be cut with machinery. 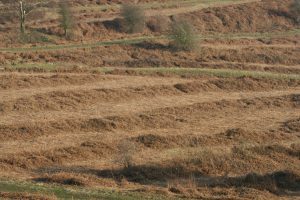 Work parties or the rotational cutting of small areas are preferable to the complete eradication of bracken, but some cutting is needed to prevent the bracken from taking over and shading a site in the late summer months. Thick secondary tree growth and neglect on site also leads to shading out and results in diminishing reptile populations. During winter the scrub can be cut and the brash turned into refugia piles. Placed in sunny areas these provide attractive refuge and basking areas for reptiles. Also grass and vegetation cuttings can be turned into attractive heaps for grass snakes and slow-worms. 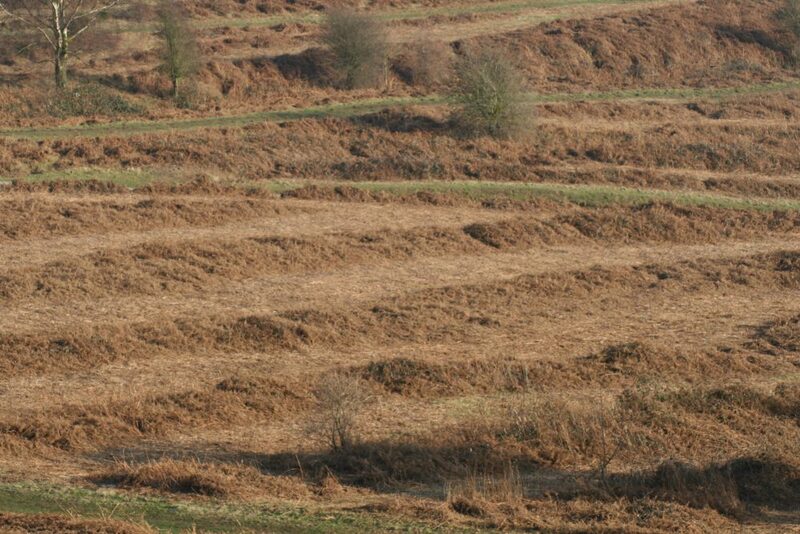 Grazing by horses, cattle or sheep is good for reptile sites, breaking up bracken, and opening areas to the sun, but high stock density is detrimental.  Overgrazing will strip an area of reptile cover and the disturbance caused by large numbers of stock can lead to a rapid decline in reptile numbers. The use of “flying flocks” of sheep, which are brought on to a site to graze only when required, prevents overgrazing. Temporary exclusion fencing is another way of stopping damage to sensitive areas. A recent publication, Status of the Adder Vipera berus, and the slow-worm Anguis fragilis, in England (English Nature 2004 publication No. 546 John Baker, James Suckling & Ruth Carey), states that habitat management is the factor most frequently impacting on adder and slow-worm populations. In spite of reports of individual sites being harmed, habitat management or creation was regarded as a positive factor at more than 40% of adder, and 50% of slow-worm sites. Most adder populations in the Midlands are relatively low. A third of adder and a quarter of slow-worm populations consist of fewer than ten adults, so any drastic habitat management could result in the loss or decline of fragile populations.